Comfort, wear-ability and vision; these traits are the foundation of our wide range of contact lenses. 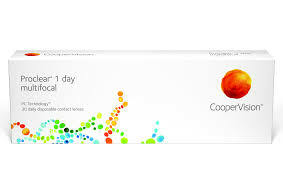 CooperVision® offers more contact lens options than any other manufacturer in the world. Talk to a contact lens specialist at Parrelli Optical® to see what lens is right for you. Over 40? Your life just got better! Get the clarity of vision you need, from very far away to right up close, with the comfort of daily disposables. Wear them once then just throw them away. View all these other great products from CooperVision and Parrelli Optical®. FREE TRIAL! Contact a Parrelli Optical Specialist to See if this lens is a fit for you!